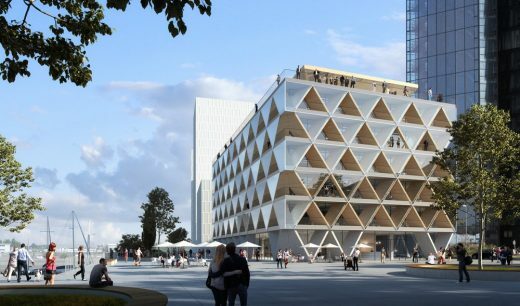 Düsseldorf’s first hybrid timber construction office building is being developed according to HPP Architects’ designs. 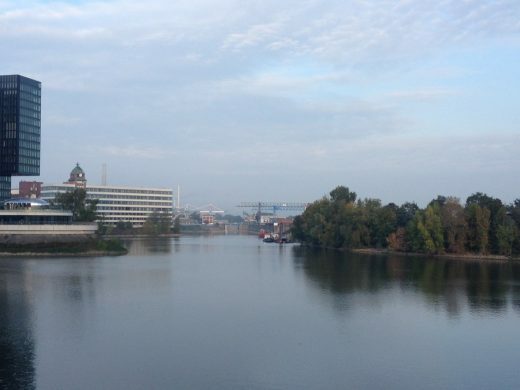 In late October the city council approved the HPP design. 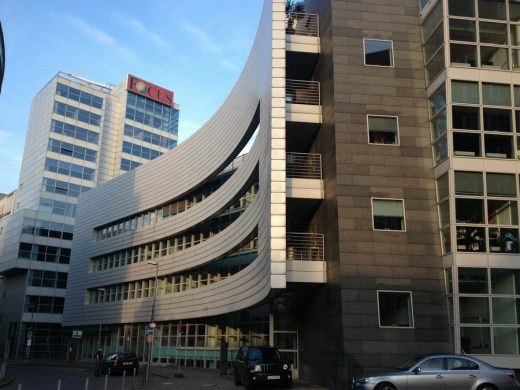 The building on Speditionstrasse 2 in the Media Harbour will be built by Ratingen project developer INTERBODEN and will open development on the southern part of Harbour A. 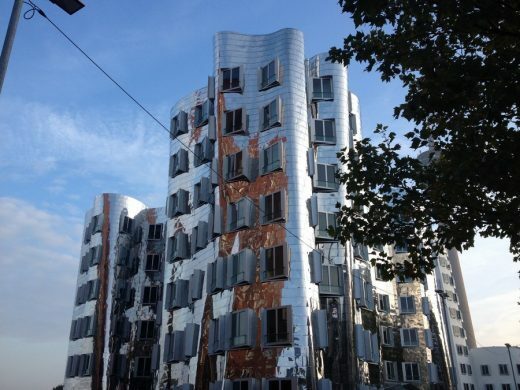 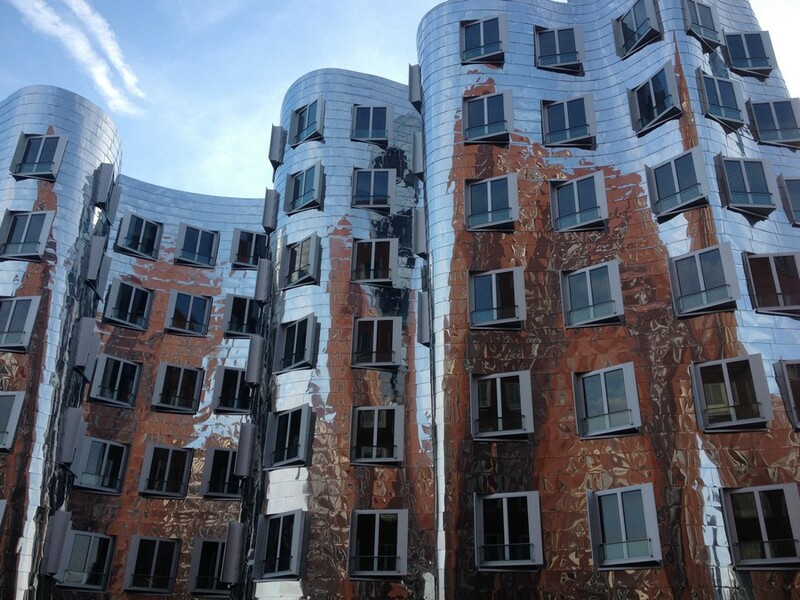 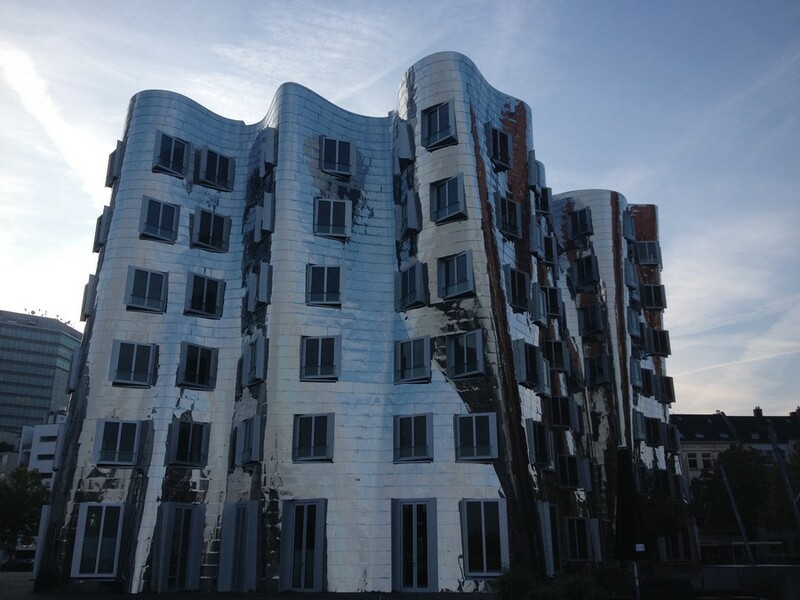 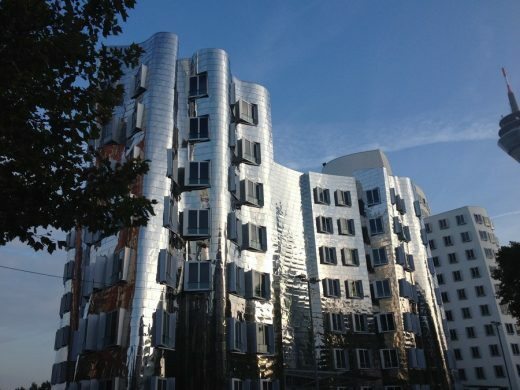 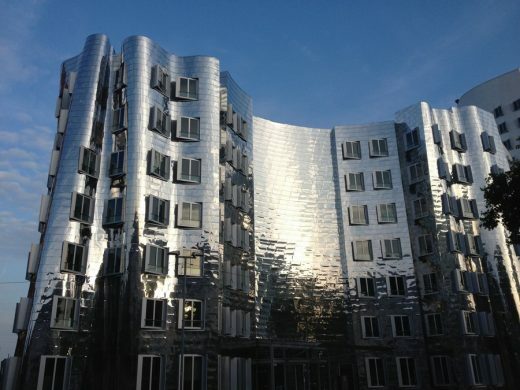 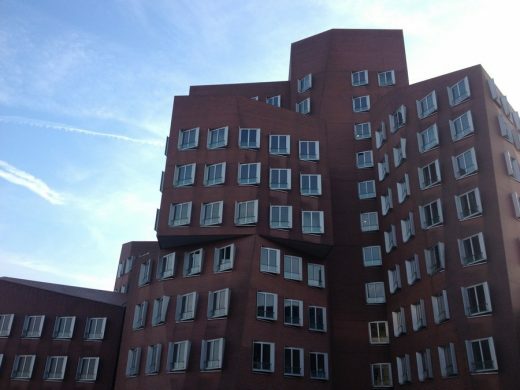 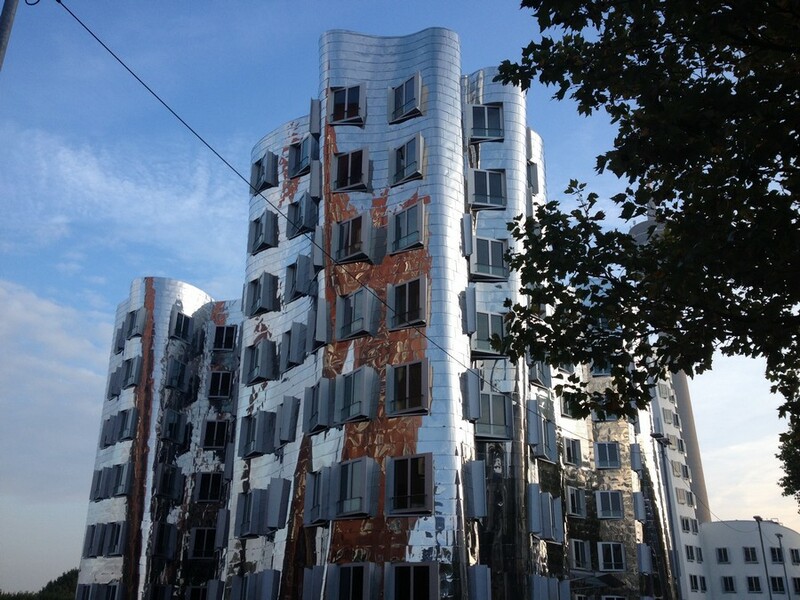 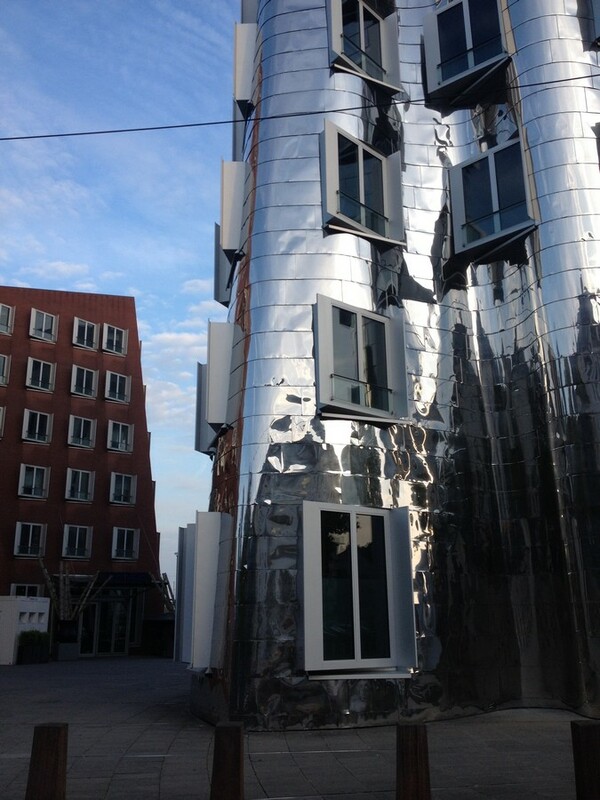 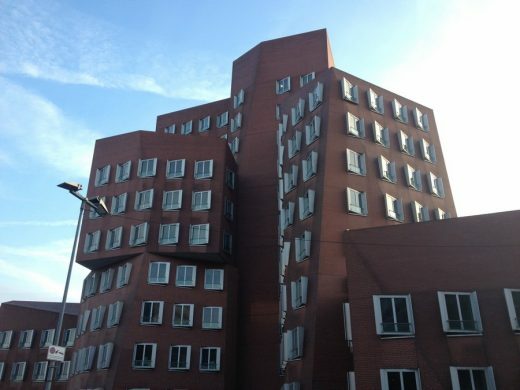 More images of this Frank Gehry building lower down this page. 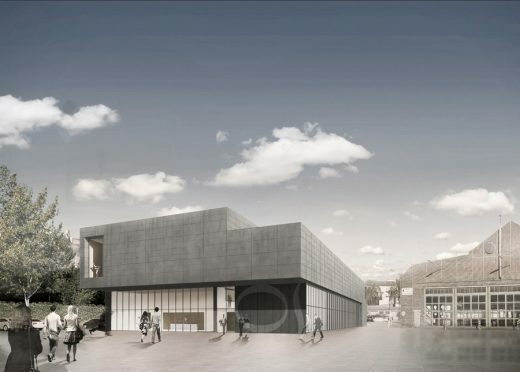 The architects von Gerkan, Marg and Partners (gmp) are designing the new rehearsal building for the ballet company of Deutsche Oper am Rhein. 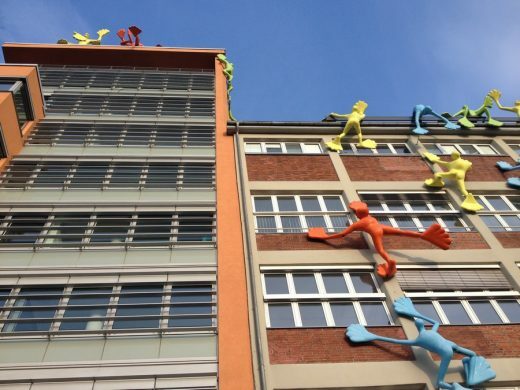 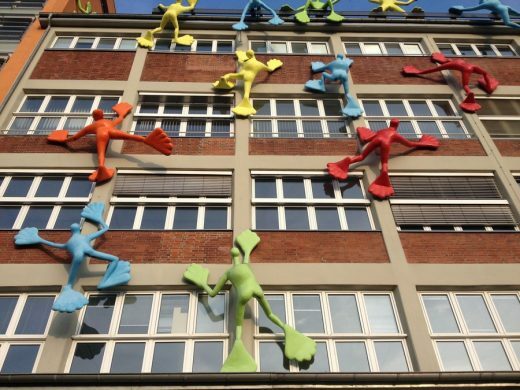 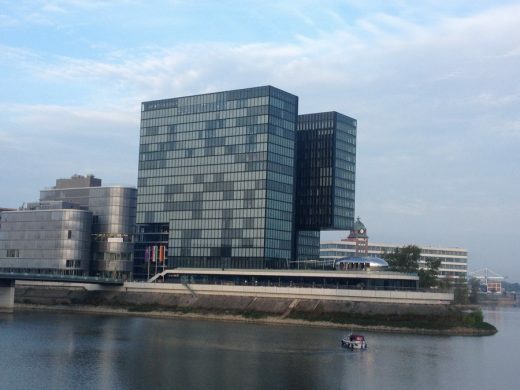 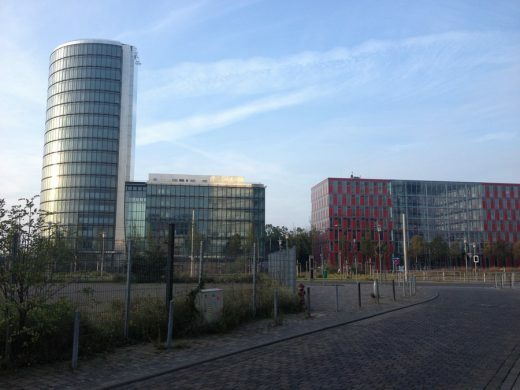 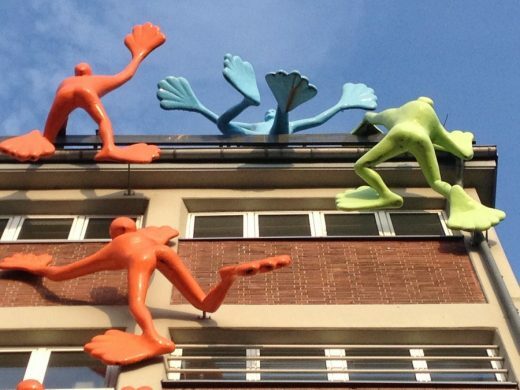 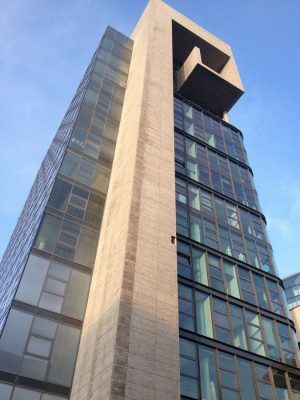 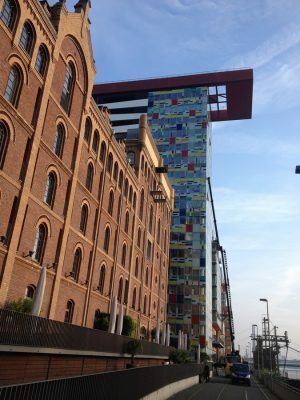 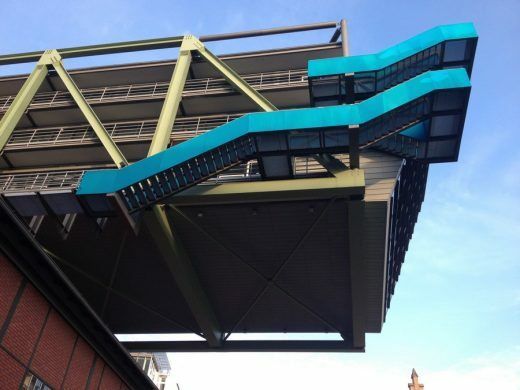 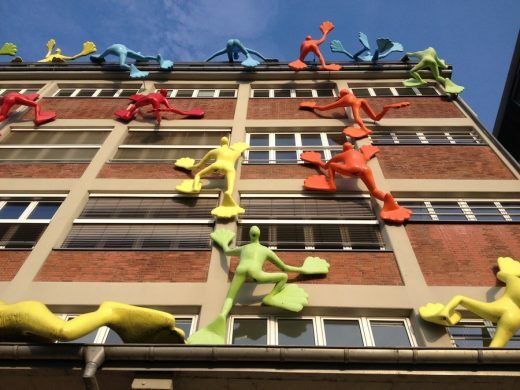 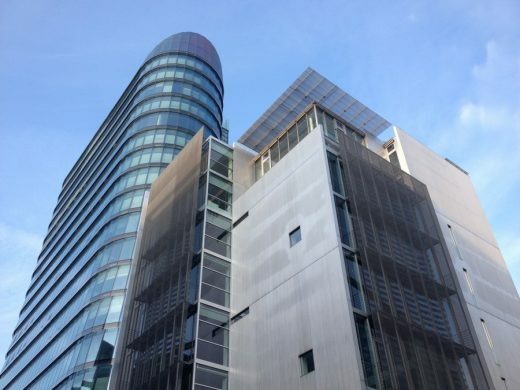 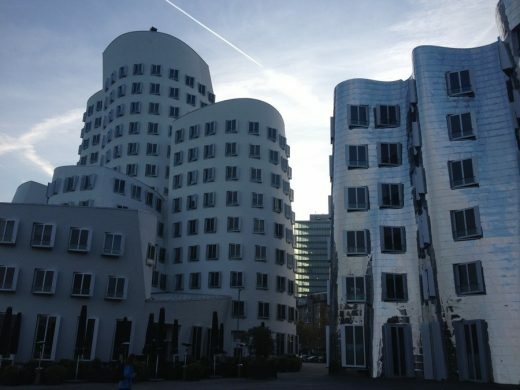 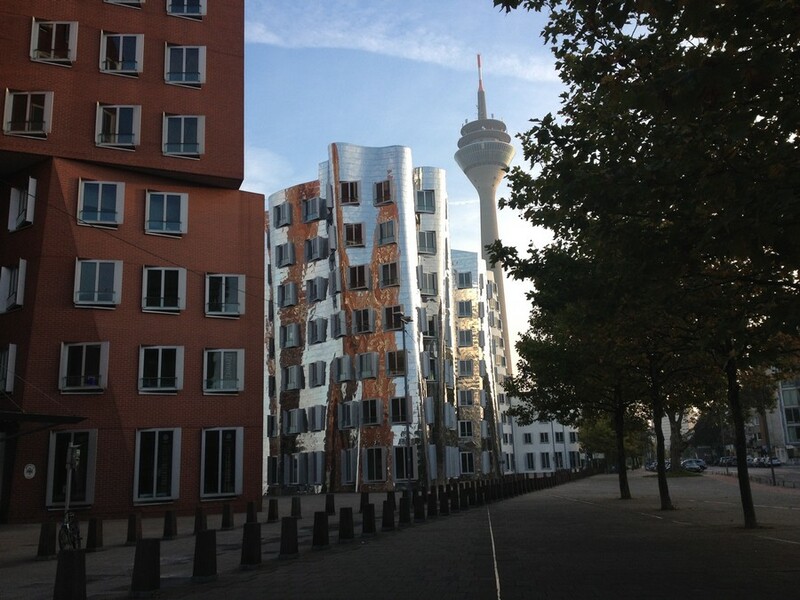 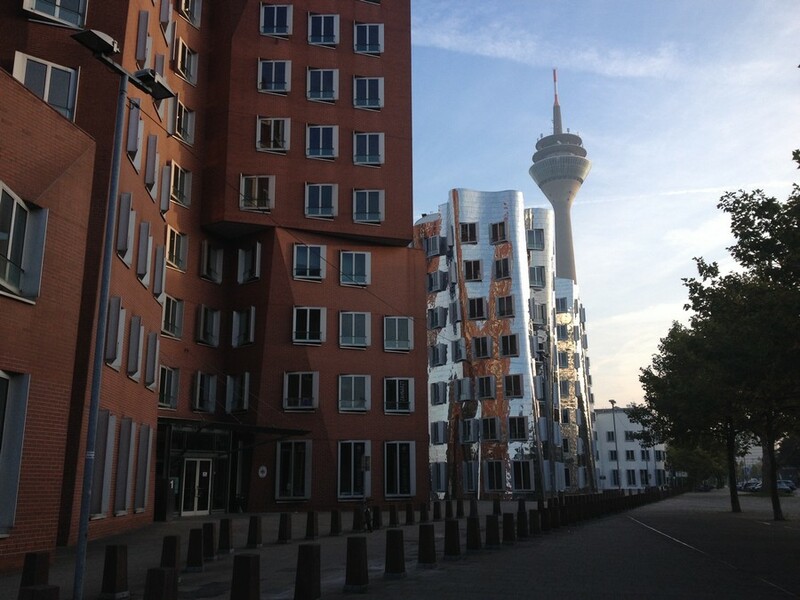 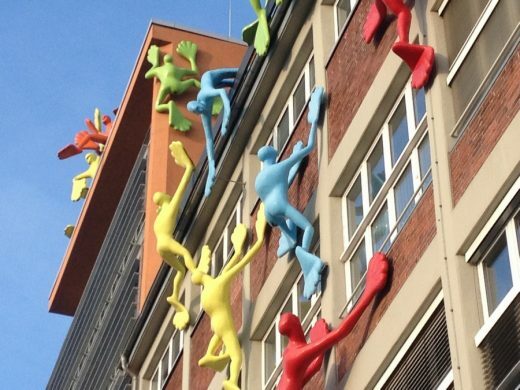 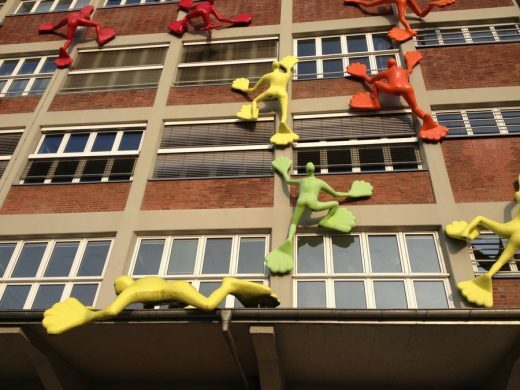 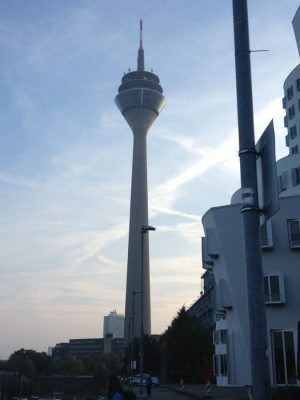 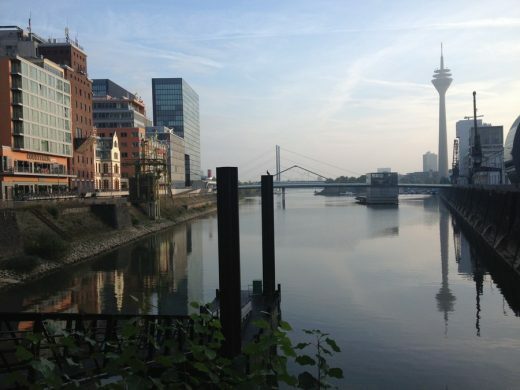 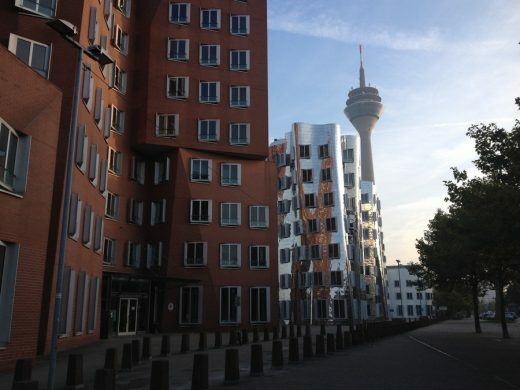 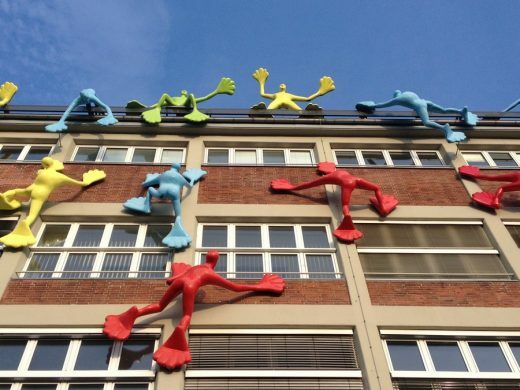 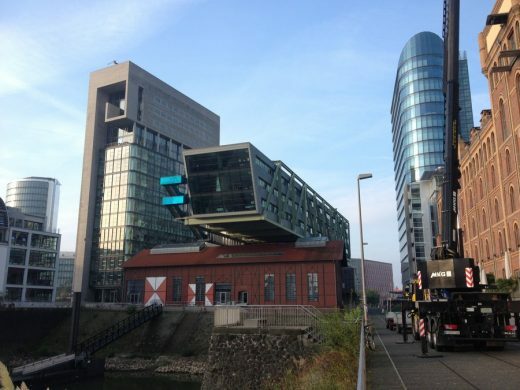 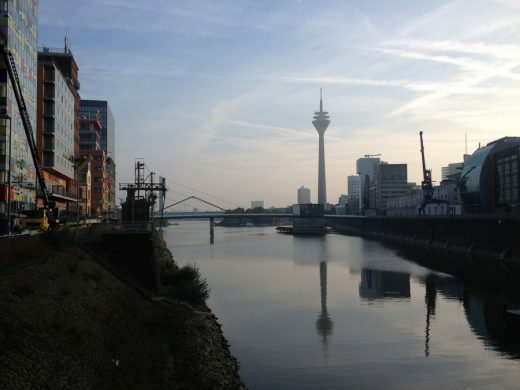 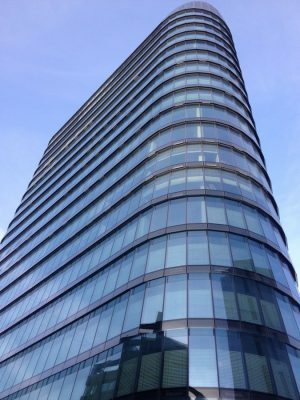 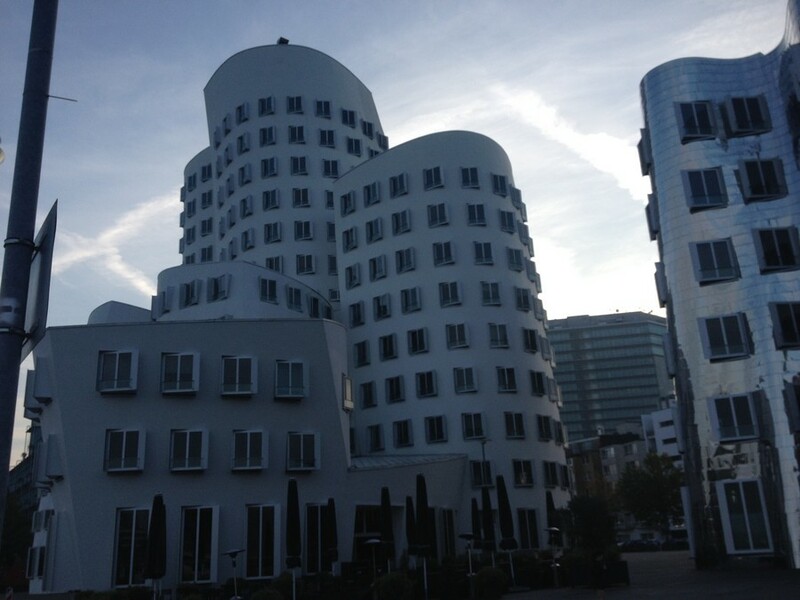 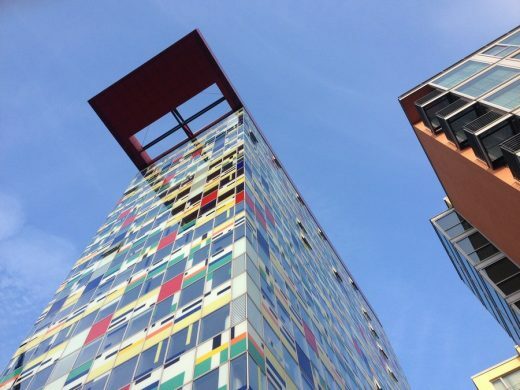 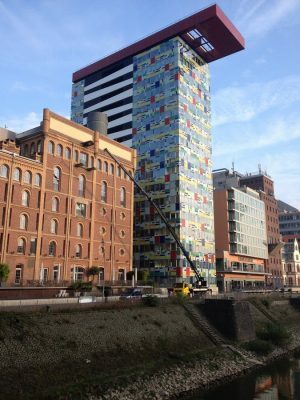 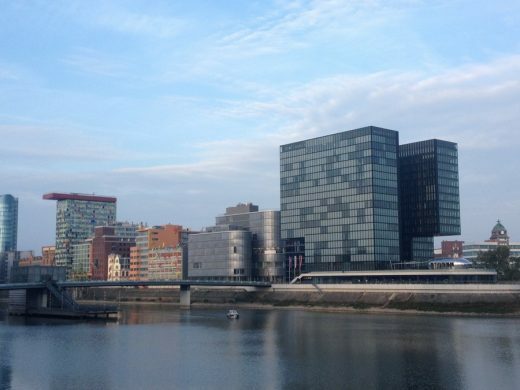 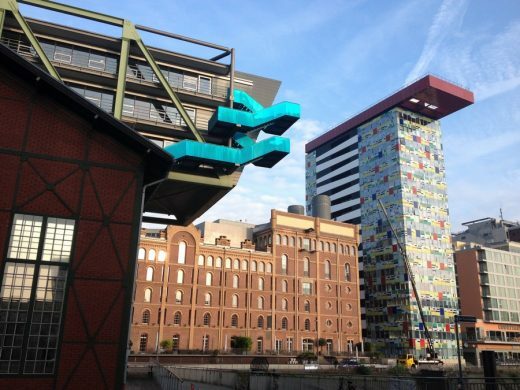 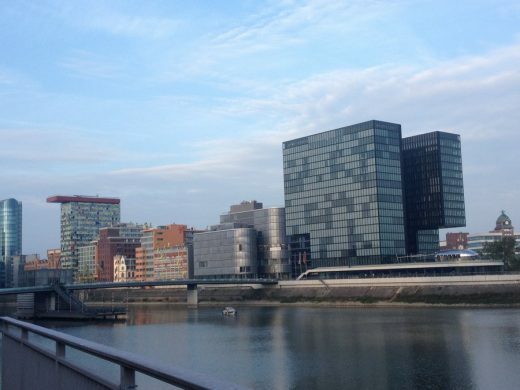 In a consortium with HOCHTIEF Solutions, they were commissioned by Düsseldorf City Council in a PPP scheme. 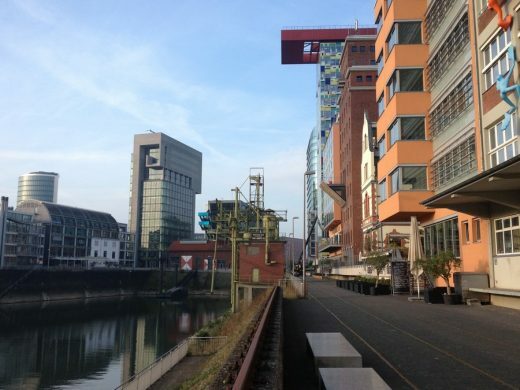 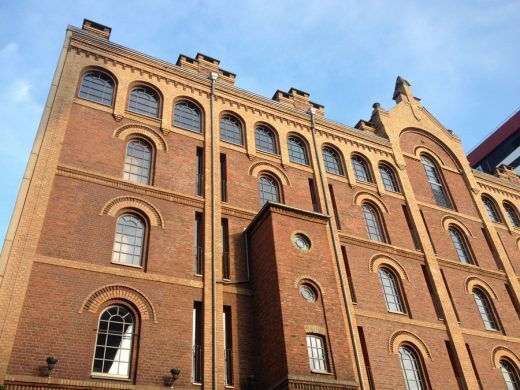 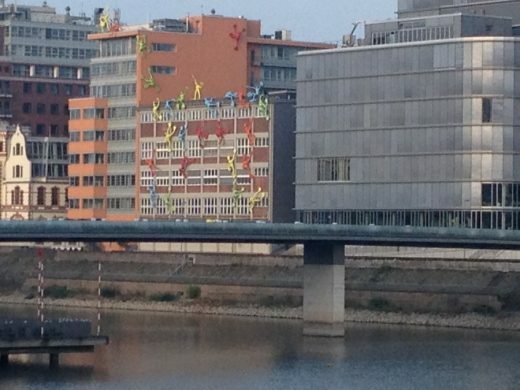 The new ballet building will be created on the historic site of the former Rheinbahn depot “am Steinberg”. 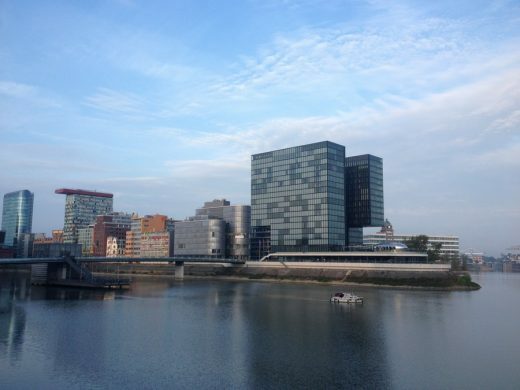 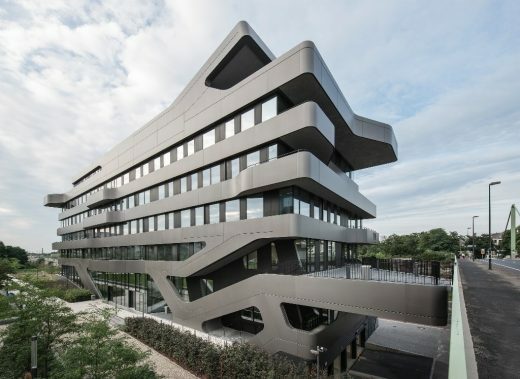 The site for the new Oeconomicum on the campus of the Heinrich Heine University in Düsseldorf is located between the existing library and medical school and the university’s lake. 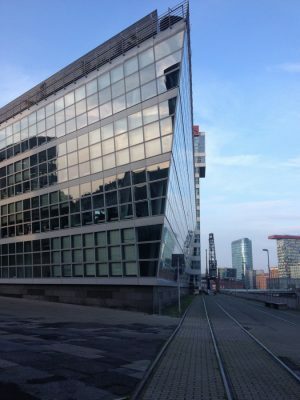 The new building takes its form from the curve of the lake shore and with the surrounding buildings it defines a new square. 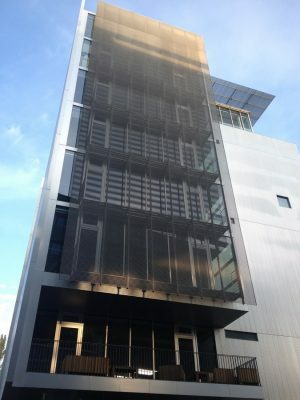 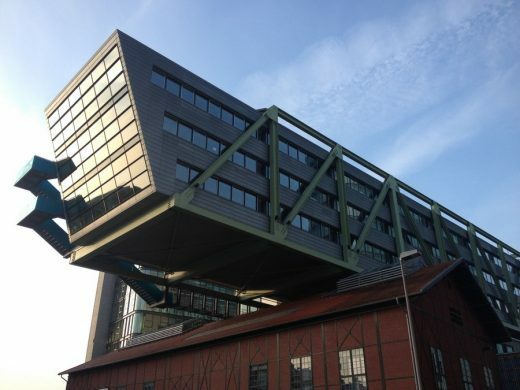 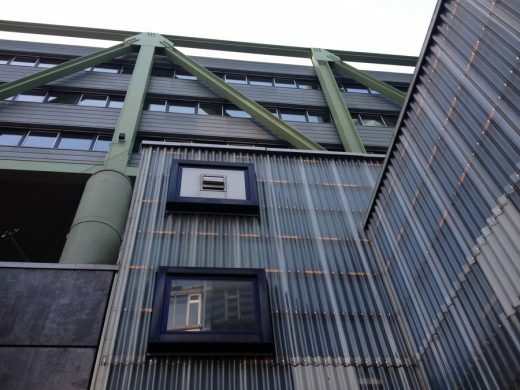 The building can easily be extended. 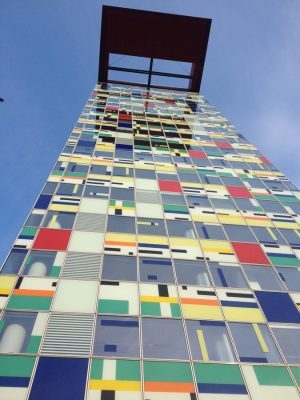 The 3-storey structure is raised on stilts, connecting it to the upper level of the university mall. 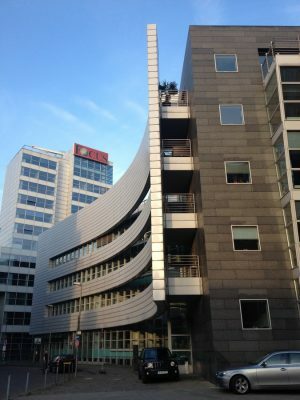 Urban development block with a high rise for office, hotel, wellness and commercial use. 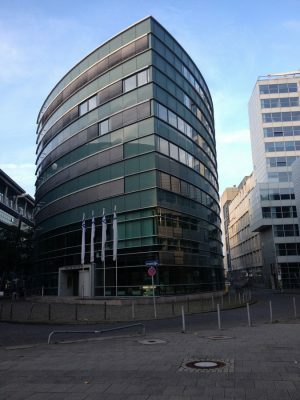 In a three-level peer review process that resulted in two first-prize winners, an urban planning concept was developed for the area of what was once the post office on Erkrather Strasse.